Maximize your revenue with the best growth-oriented marketing system for your business, the premier Affiliate Marketing Platform for WordPress. 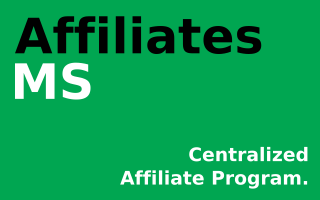 The Affiliates system provides the most powerful growth-oriented tools to run a successful Affiliate Marketing Program. 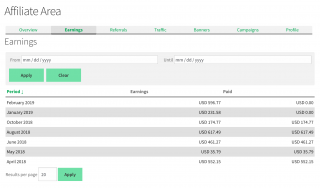 Enterprise features include campaigns, multiple tiers and pixel tracking. Maximize your revenue with the best growth-oriented Affiliate Marketing System for your business. 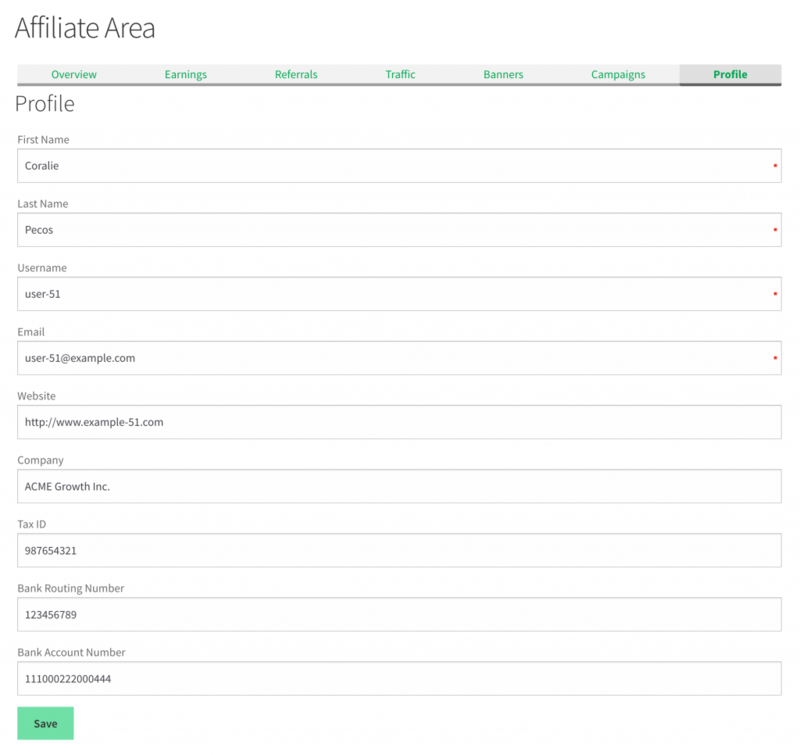 Our Affiliates system allows you to run a successful Affiliate Marketing Program. It provides the most powerful growth-oriented tools that can help you to expand the reach of your business. 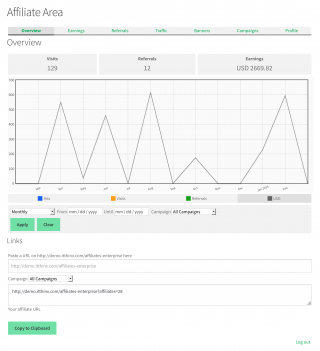 A fresh and intuitive dashboard helps your partners to spread the word about your site, products and services easily. 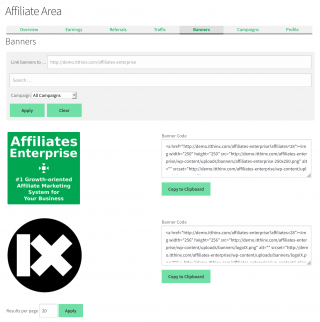 Affiliates can market your products and share links to any page on the website, using simple tools that are built into its dashboard. 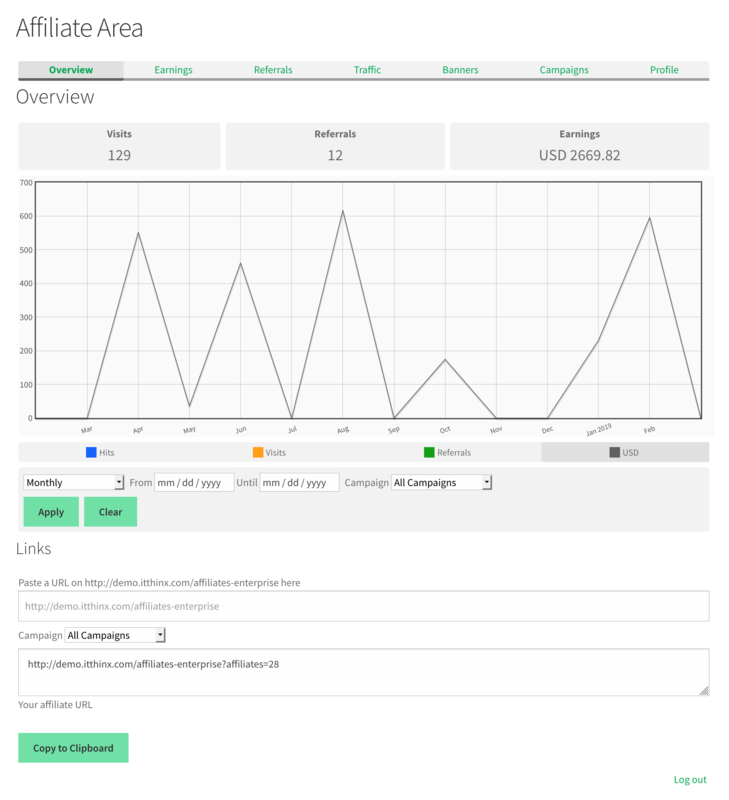 Designed to deliver a smooth experience out of the box, it is ready to be deployed with virtually any theme, even without customizations. Your partners can review their performance and earnings over various time periods, with details on clicks, individual visits, referrals and earnings. This allows them to optimize their marketing efforts based on the statistics that the system provides. 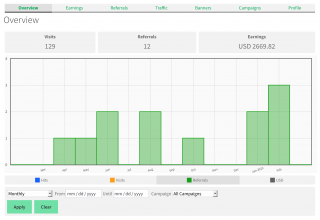 An easy to use interface, with a natural representation of the data makes it an exceptional experience to work with, for novice and seasoned affiliates alike. 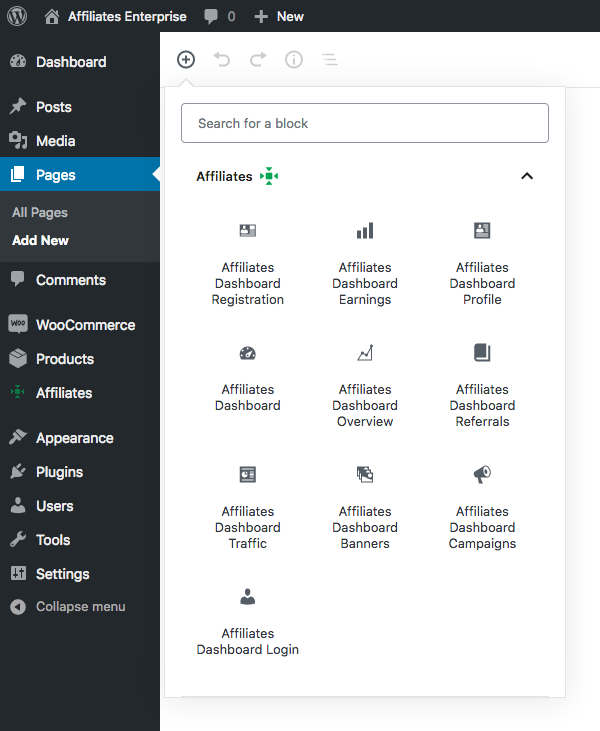 The ready-made Affiliates Dashboard provides an integrated experience that handles everything from login and affiliate registration to a flexible performance overview, an easy to use link tool, details on referrals, affiliate link traffic, banners and campaigns. 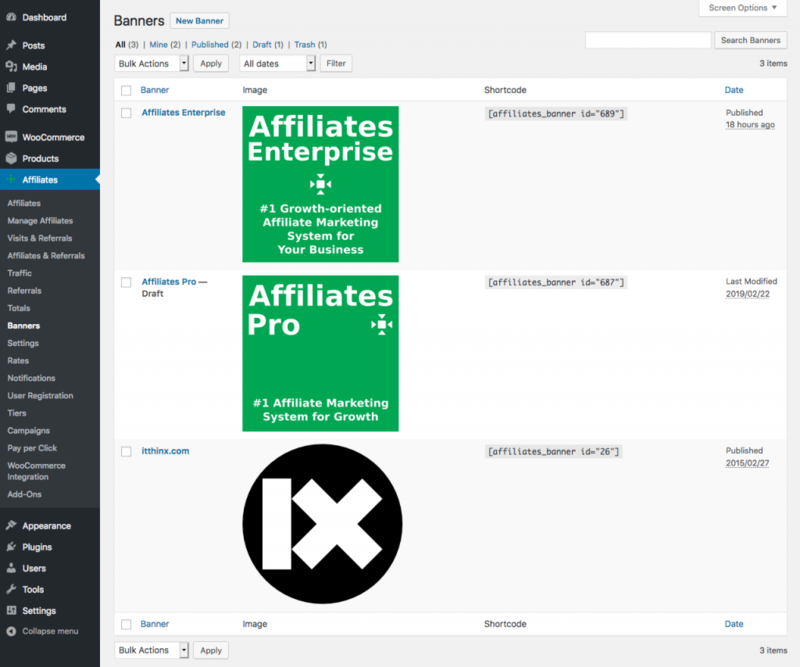 Even though the system provides a standardized toolbox, it also allows to refine the design and the facilities provided for your affiliates even further, with its flexible template-based dashboard sections. 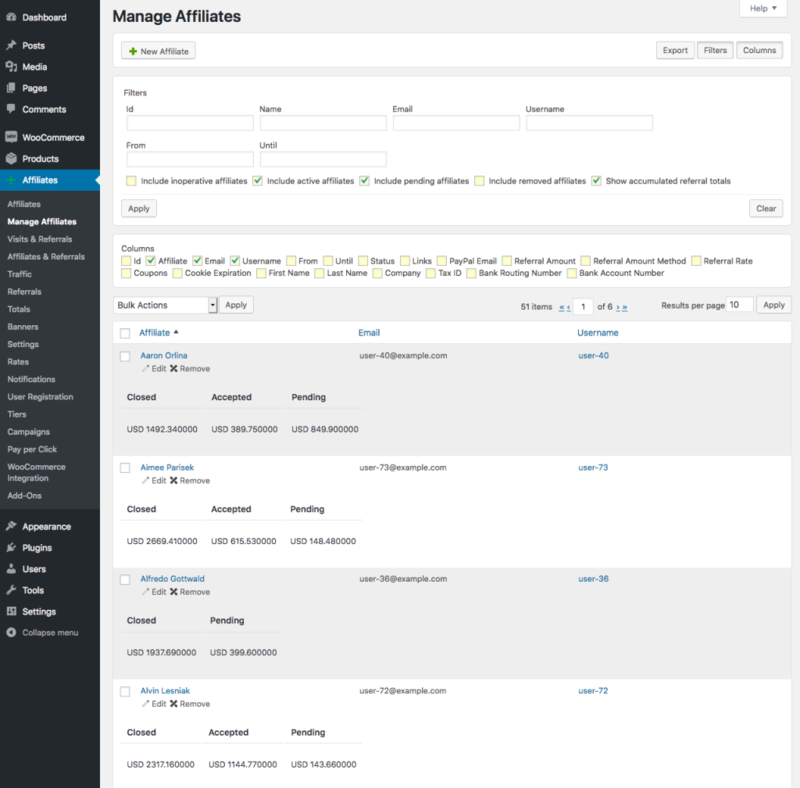 Important features include our ready-made, yet customizable Affiliates Dashboard, with its unified sections for affiliates on the front end. 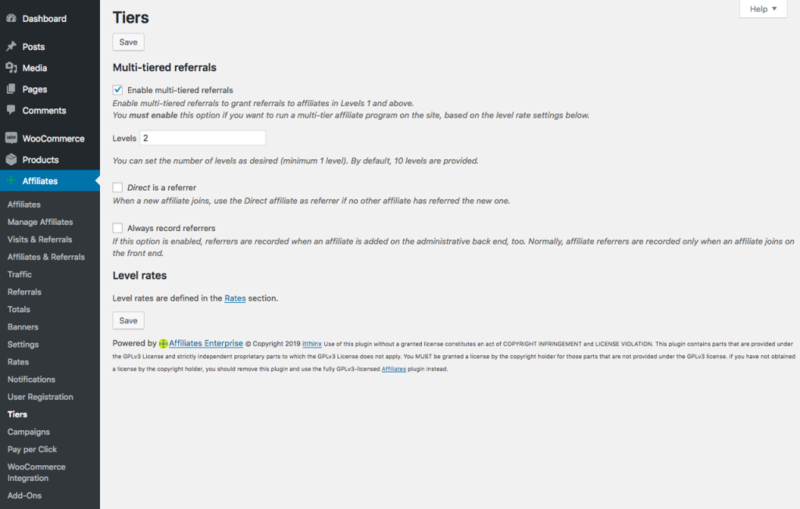 Resourceful administrative affiliate management sections provide powerful tools for your site’s affiliate managers. The system comes with highly customizable commission rates and is readily integrated with WooCommerce, the leading e-commerce solution for WordPress. It also provides additional integrations and extensions and makes it super-easy to provide your affiliates with appropriate banners that they can use to promote your products. The system can further be used with virtually any platform, embracing e-commerce, memberships, forms, lead generation, lead tracking and many more. The Affiliates system also provides a solid framework for developers, who wish to build customized solutions based on a sound data model. For extensive information about all features and detailed instructions, please visit the Documentation. 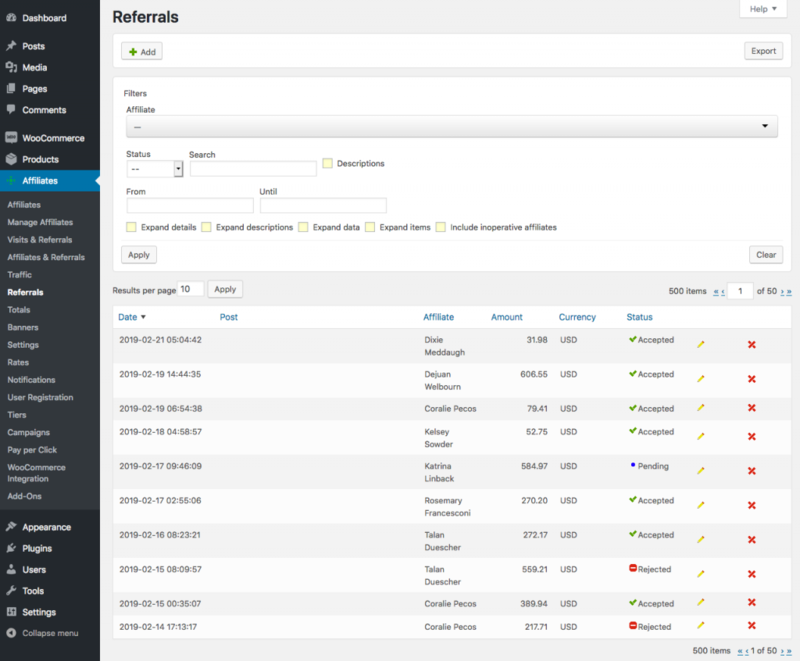 A fresh and intuitive dashboard helps your partners to spread the word about your site, products and services easily. 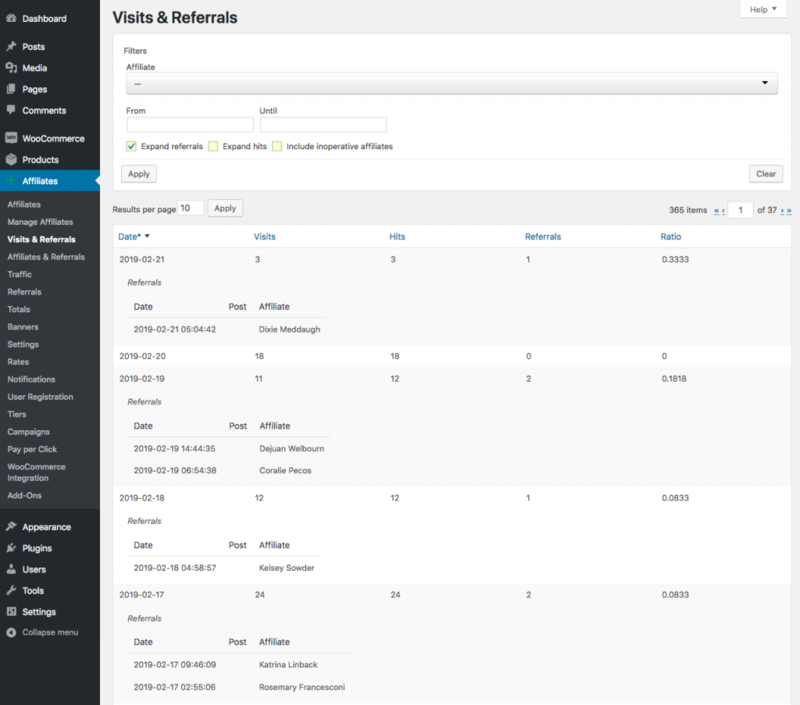 This fully-integrated setup-free dashboard is composed of several sections which can also be used individually. 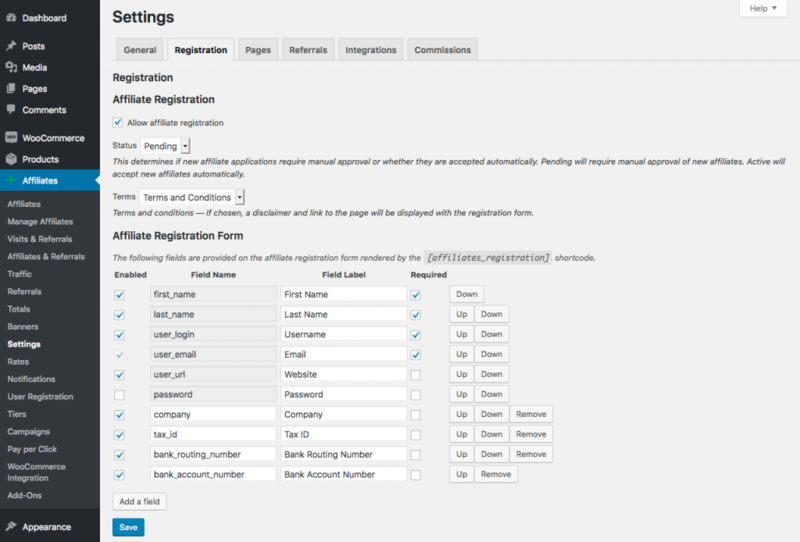 Available as blocks, shortcodes and via API functions, all parts are also fully customizable using templates. 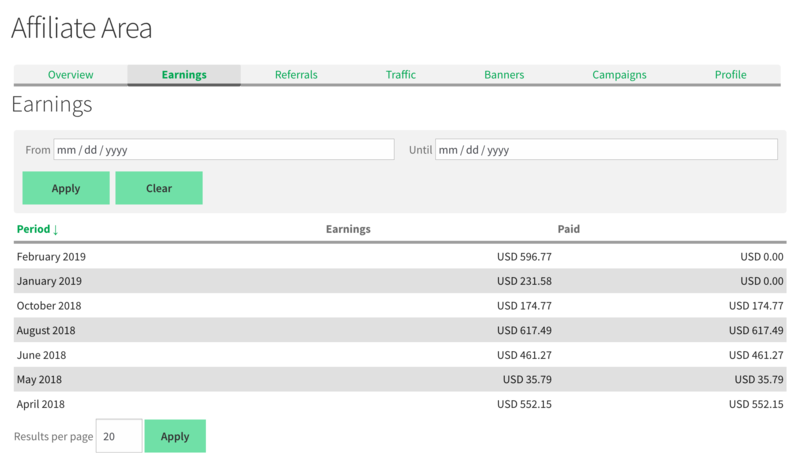 The dashboard’s overview features flexible time-periods for statistics on clicks, referrals and earnings. A section with details on link traffic provides useful information to fine-tune marketing efforts. The dashboard also features a section for banners, where affiliates can obtain codes and customize the banners’ target URL. 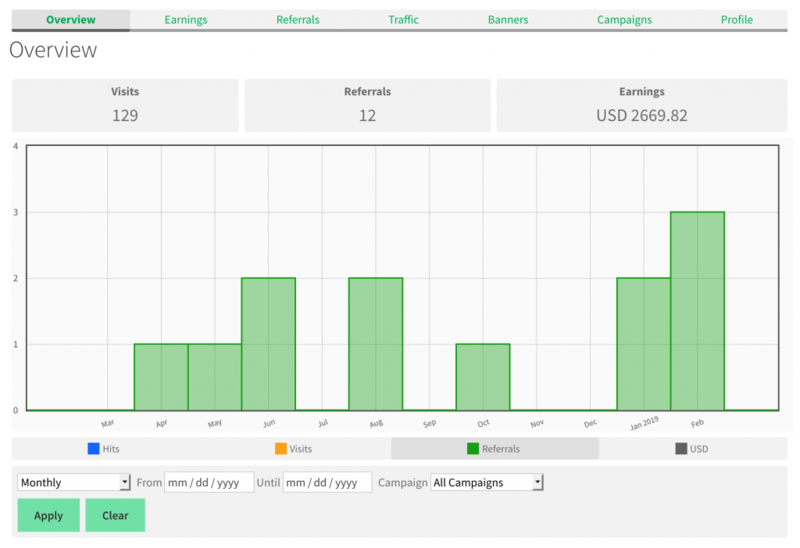 The dashboard includes campaigns and campaign management, where affiliates can use campaigns to track their marketing efforts. 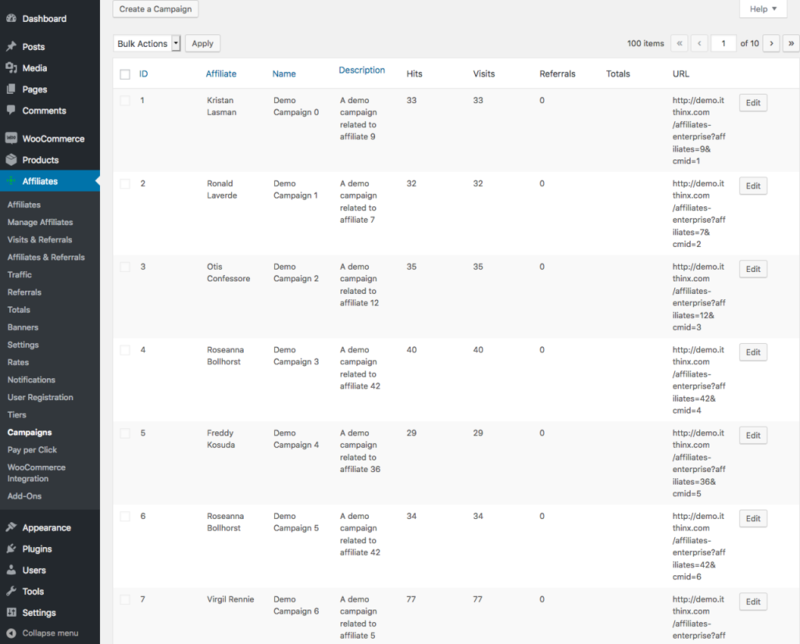 Campaigns are also integrated suitably in other sections of the dashboard, where affiliate can see the related data for specific campaigns. 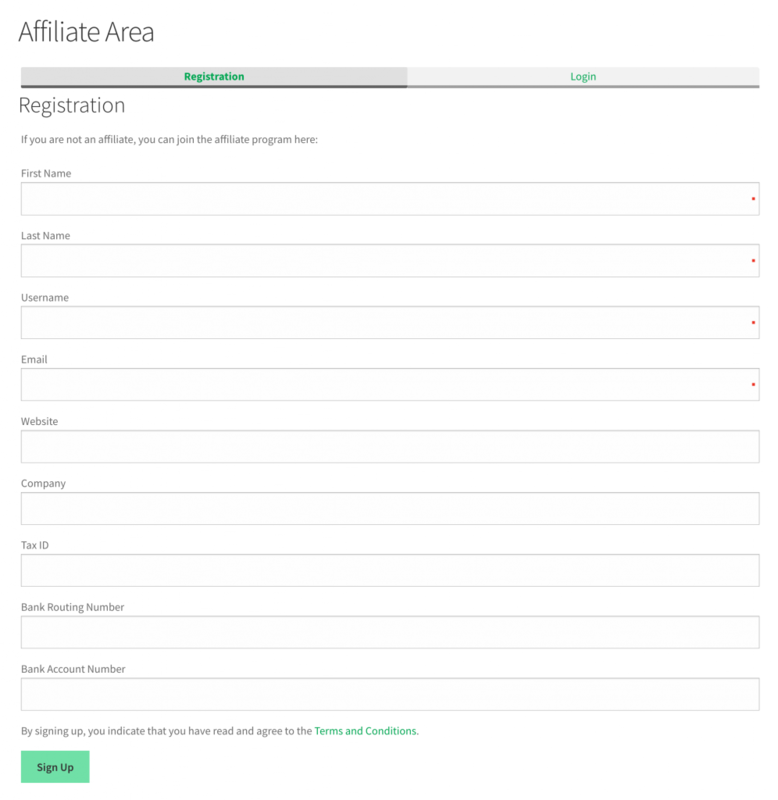 Simply have as many affiliates as you can get, the system does not impose any limitation on the number of affiliates it can handle and it scales beautifully. We concentrate on providing integrations only with the leading platforms for WordPress in e-commerce and other relevant systems. We include integrations with WooCommerce, AddToAny, AddThis, Contact Form 7, Formidable Forms, Events Manager, Gravity Forms, MailChimp, Ninja Forms and PayPal. We also provide a specific tool that allows to implement Pay-per-Click partner programs. Our system features the most flexible and advanced commission rates available. 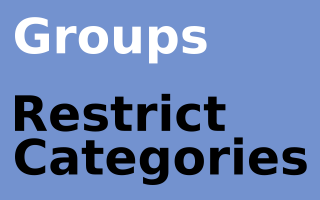 These range from a simple general rate, individual rates per affiliate, rates per affiliate and product, rates per affiliate and product category and even more specific rates that include rates for members with Groups. Combinations can be used to fine-tune the commissions in your affiliate program and it supports fixed amounts as well as proportional commissions. 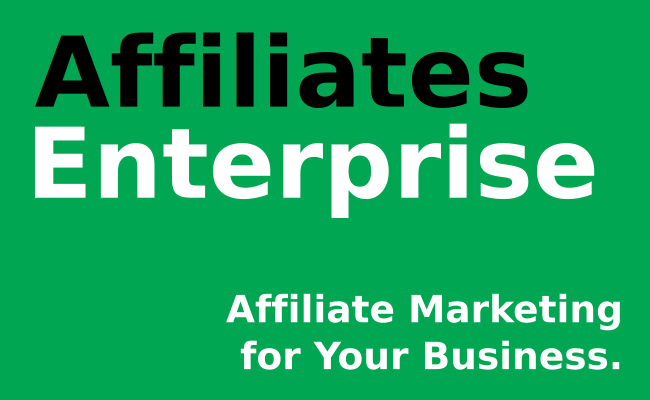 With Affiliates Enterprise, rates can also be specified for and combined with levels in a multi-tier affiliate program. Rate types cover from simple fixed amounts and proportional rates to formula-based rates. 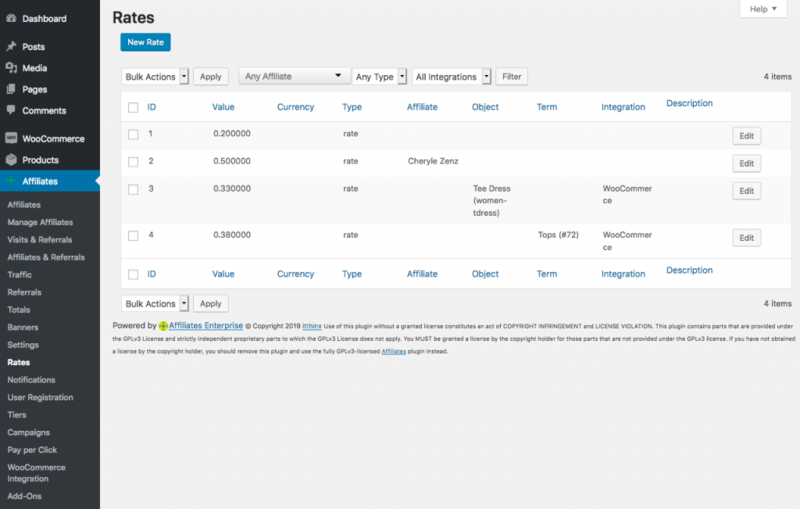 The system allows to assign coupons to affiliates. 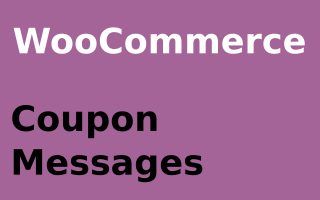 Orders that have such coupons applied, are related to the affiliate. Customers who have been referred via coupons do not need to click any affiliate link. Your partners can use their assigned coupons to promote your products transparently without the need to use affiliate links, while your customers benefit from the related discounts and partners are credited with the appropriate commissions. 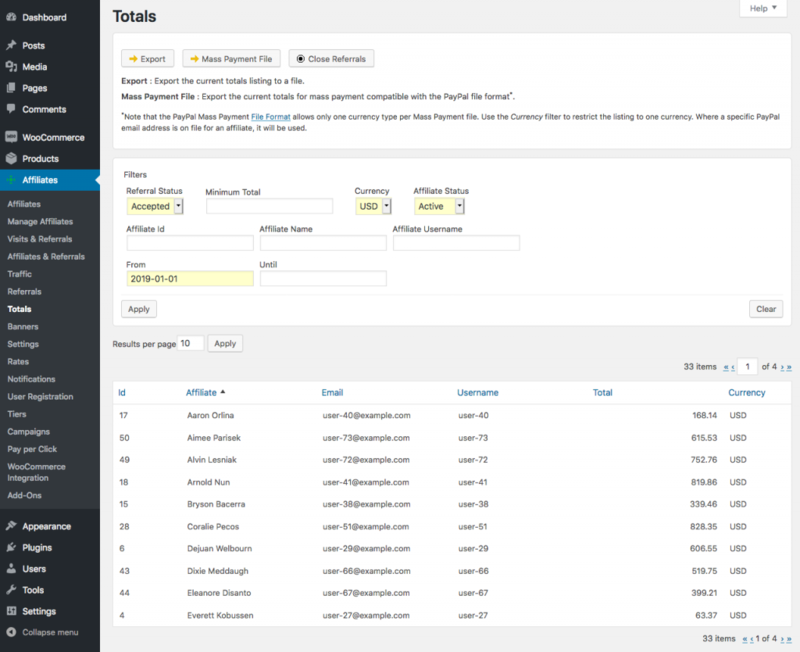 The integrated campaign management allows your partners to create and track their own campaigns. It enables them to differentiate their marketing efforts, perform A/B Testing and optimize sales via referral-marketing funnels. For example, to benchmark marketing via Facebook versus Twitter and other sources. 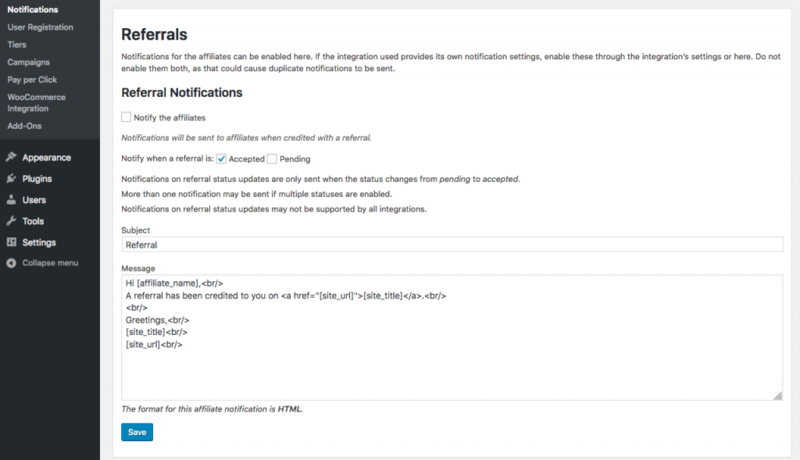 The affiliate dashboard’s link tool and banners allow to create campaign-based links easily. With its multi-tier enhancements, the system allows to run MLM programs based on an unlimited number of tiers and level-rate-based commissions. 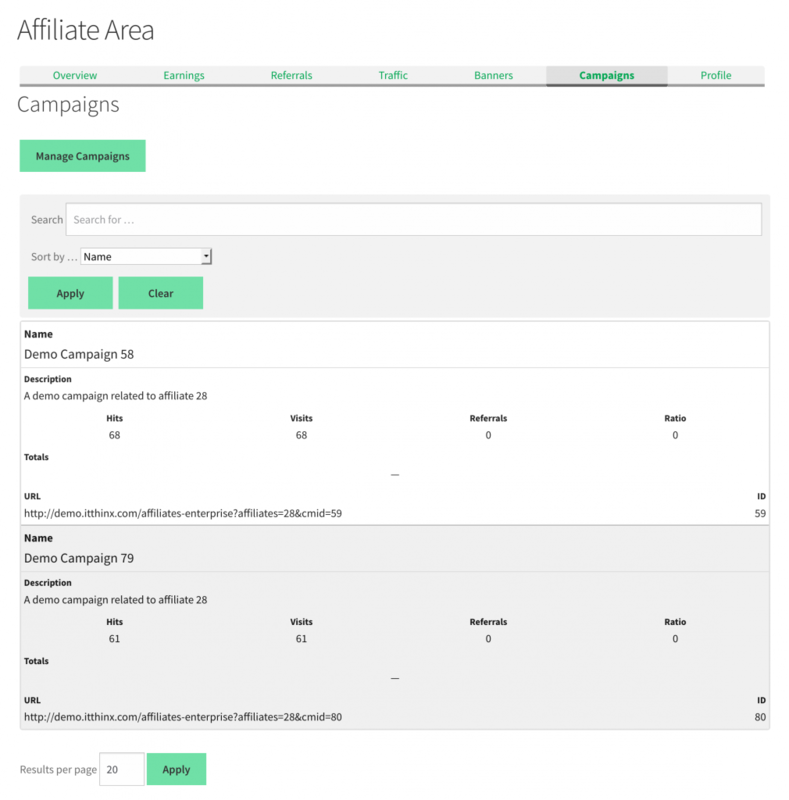 Pixel-based tracking allows affiliates to refer sales without the need for customers to click an affiliate link. 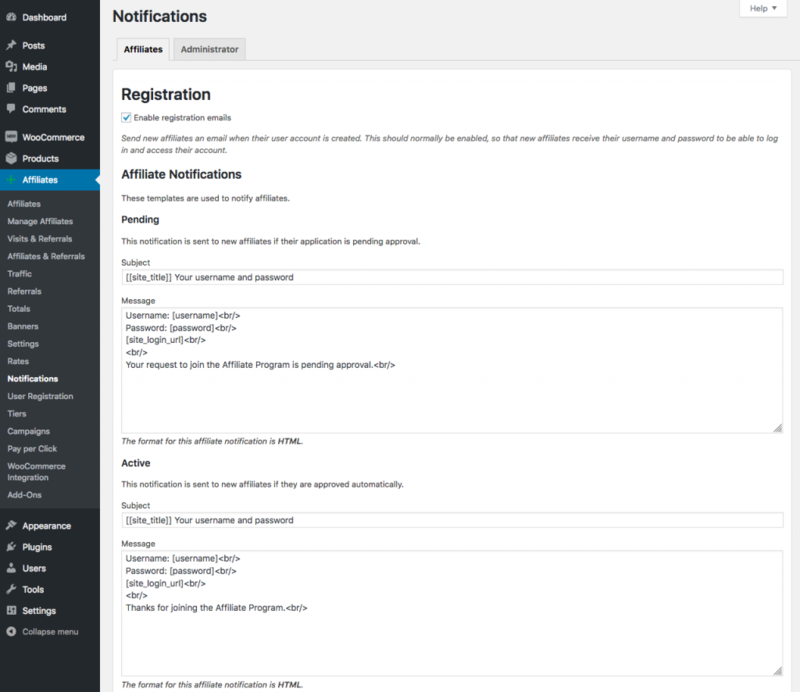 Customizable affiliate registration notifications and referral notifications allow to keep your partners informed about their status and the sales they refer as they occur. 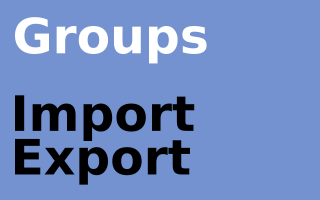 The export features allow to create reports and export affiliate and referral data conveniently for further analysis. 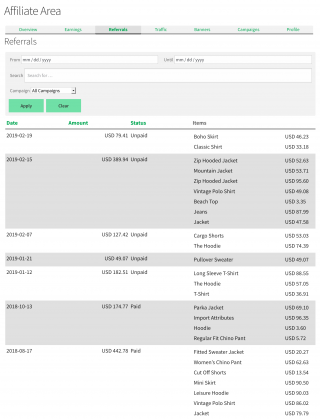 Accumulated totals can be reviewed and exported for further processing. The system allows to generate reports based on specific criteria and to create mass payment files, including formats that are suitable for PayPal mass payments and mass payments handled through other payment processors. 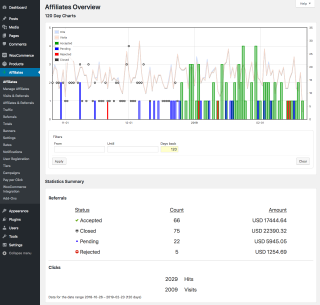 The system records the traffic generated by affiliates and provides detailed reports on the traffic that can be refined using suitable filter criteria. 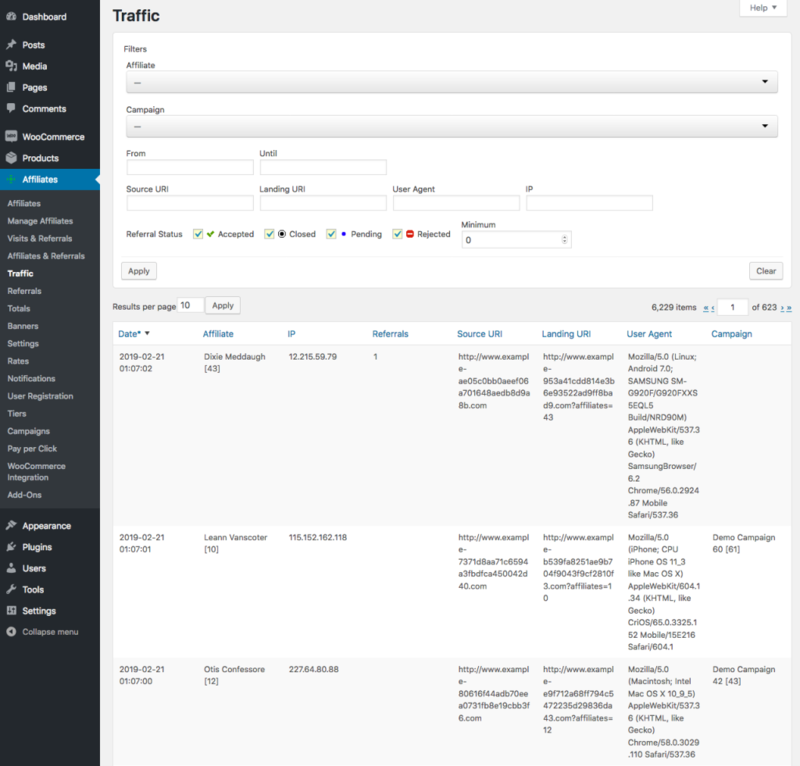 Reports can be used to identify traffic from robots to purge and exclude unsuitable requests from further recording. 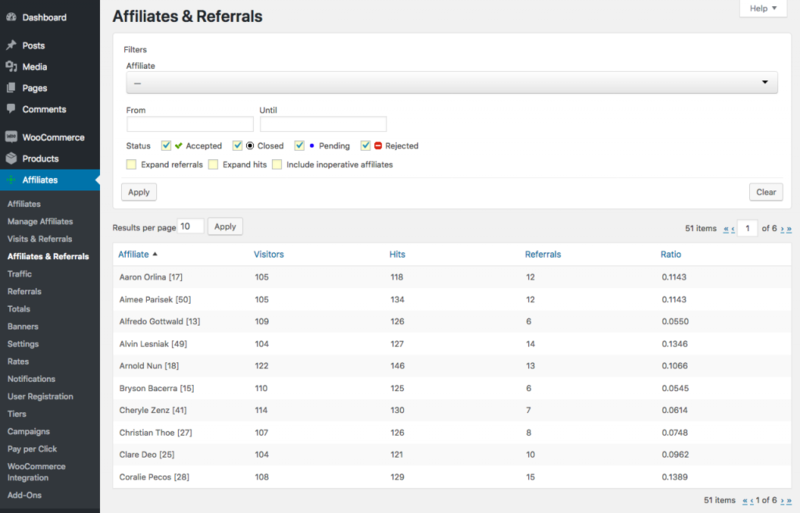 Detailed traffic reports are available for affiliate managers on the back end while the affiliates dashboard presents useful information to affiliates about the traffic they refer. 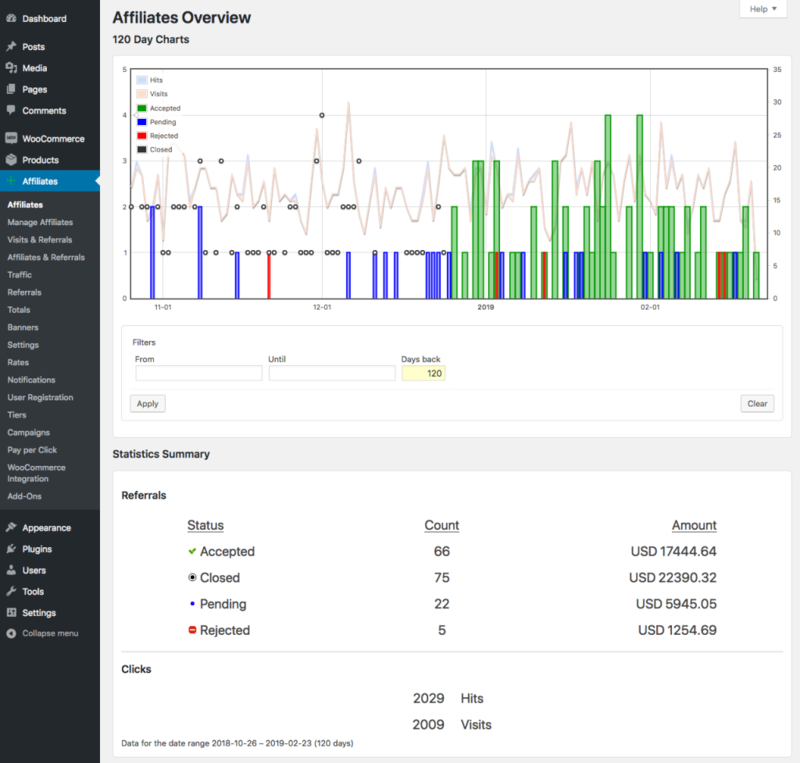 The system is installed and ready to use including a ready-made complete affiliates dashboard in less than a minute.